Dang, I really enjoyed the Super Blood Wolf Moon yesterday. It was probably my favourite in the series since Super Blood Wolf 3. 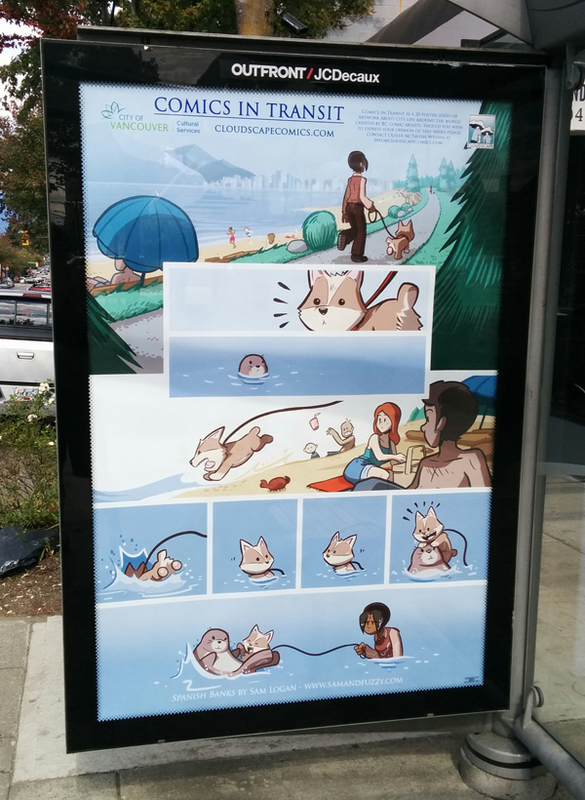 It was a collaborative project between Vancouver's Cloudscape comics collective, and the City of Vancouver transit department. A bunch of local creators drew comics that ran on bus stop ads around the city! I don't know what happened to them, actually! I was told before I drew it that after they were taken down, we would probably not be able to request to have them saved for us, so I didn't try. I do sell much smaller (12x18) prints of it at cons, though! Well, as we all know and never question, Rikk is a real person. Obviously! There are a lot of Buddy Bots floating around! Sin built a lot of the "new" model when he reopened the Buddy Bot factory as part of his last big plan -- those units are the ones that are now being used as Erasers! But the Buddy Bots with personalities, like Bonus... there is definitely a hard limit on their numbers. They're the units that had their original, defective brains -- copies of Eric's that Mr. Sin considered to be too flawed -- reinstalled by Benson. Those brains havent' been made in 25 years, and presumably there are only so many of them. That said, I don't think that many of those Buddys have bought the farm! We return on Monday with our next comic. See you then, team! 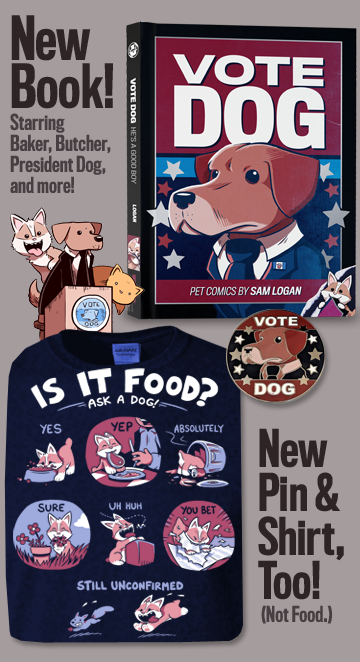 We return on Friday with a new comic and a new round of "Q and A"! 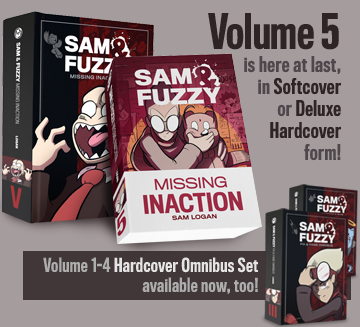 Got a question you'd like to ask me about any of my work -- be it S&F or Vote Dog or Zim or the Saucy Hippo or anything else? Drop it in an email with "Q and A" in the subject line!